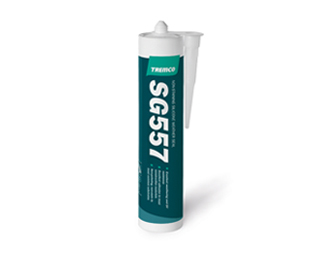 FS550 is one-part, neutral curing, low modulus silicone sealant suitable for perimeter joint sealing applications with high movement capability. It is ideal for use in expansion and curtain wall joints, perimeter joints around windows or doors, panel joints between most common substrates, heel and toe beads, polycarbonate glazing and other general joint sealing applications. Joint faces should be clean, dry and free from dust, oil, grease, old sealant and any traces of contaminant which may affect adhesion. Any previously applied sealant must be mechanically removed. Movement joints should be back filled with a foam backer rod such as FGT BR135 in order to control the depth of sealant and prevent three-sided adhesion. Please see data sheet for more information. Please do not hesitate to contact us for further information, pricing or to discuss your sealing & bonding requirements. Sign up for our new bi-monthly Fenestration & Glass Newsletter! We'll keep you updated by sharing the latest news, case studies, projects and additions to our product range. Kindly note that all fields below are required. Copyright © Fraser Global Trading (Pty) Ltd 2019. All Rights Reserved.